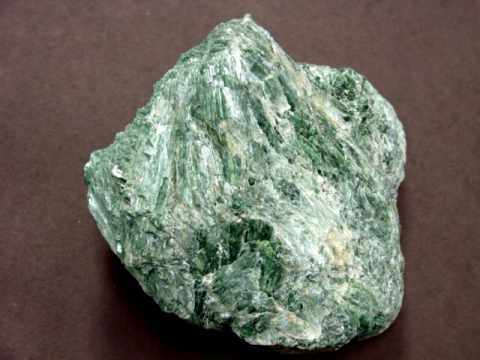 Try our Actinolite Specimen's Satisfaction Guarantee - compare our prices and our superior quality. Click on any actinolite mineral specimen image below to enlarge it. 3" x 2.3" x 1.7"
This naturally terminated quartz crystal cluster with actinolite consists of several intergrown crystals that are semi-transparent to transparent and very shiny vitreous luster. Most of the terminations are in good condition. The photo at left shows a side-view, see full-view. Actinolite Specimen Dimensions: 5.2" x 3.5" x 2.6"
This natural specimen is an aggregate of deep green actinolite crystals with a small amount of mica. Actinolite Specimen Dimensions: 5.5" x 4.4" x 3.7"
This natural specimen is an aggregate of deep green intergrown actinolite crystals. The photo at left shows a close-up view, see also a full view photo of this intergrown mass of natural actinolite crystals. This is the end of our Actinolite Mineral Specimens and Crystals virtual gallery page. 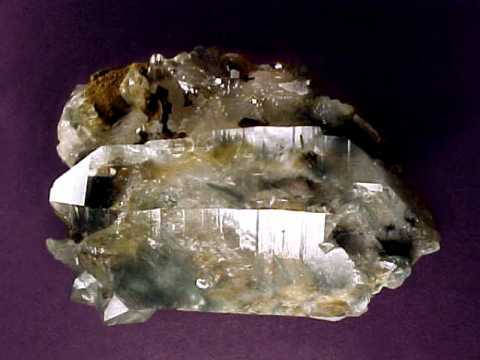 Would you like us to inform you when we add more natural actinolite mineral specimens on this page? We do have additional inventory of natural actinolite specimens in stock, so be sure to let us know if you have any actinolite mineral specimen requests. Please contact our webmaster or our 'site' geologist with any questions or comments.